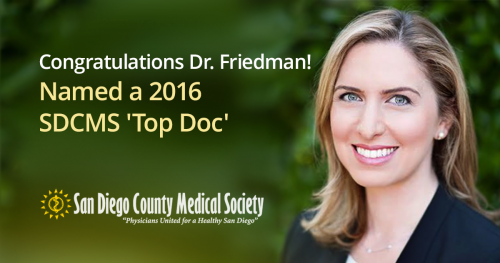 Dr. Friedman Is a San Diego Medical Society "Top Doc"
San Diego Fertility Center (SDFC) is proud to celebrate a tremendous honor for our very own Dr. Brooke Friedman! Dr. Friedman was recently selected by her peers as one of San Diego Medical Society’s “Top Docs”, a distinction which celebrates physicians who are held in the highest regard by their fellow medical professionals. 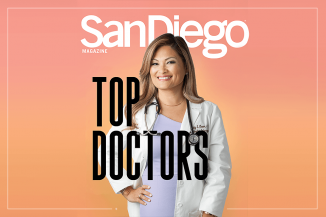 San Diego Medical Society works with San Diego Magazine to nominate physicians from over 75 different specialties, finding those medical practitioners with whom other doctors would confidently recommend to their own family members and friends. 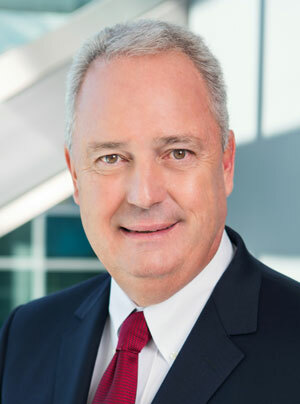 Dr. Friedman’s nomination will be published in the October edition of San Diego Magazine. This isn’t the first time Dr. Friedman has been recognized for providing exceptional patient care. In her distinguished career, she has received the Vitals’ “Patients’ Choice Award,” the “Compassionate Doctor Recognition” award, and the “Top Ten Physicians” award. Learn more about Dr. Brooke Friedman!